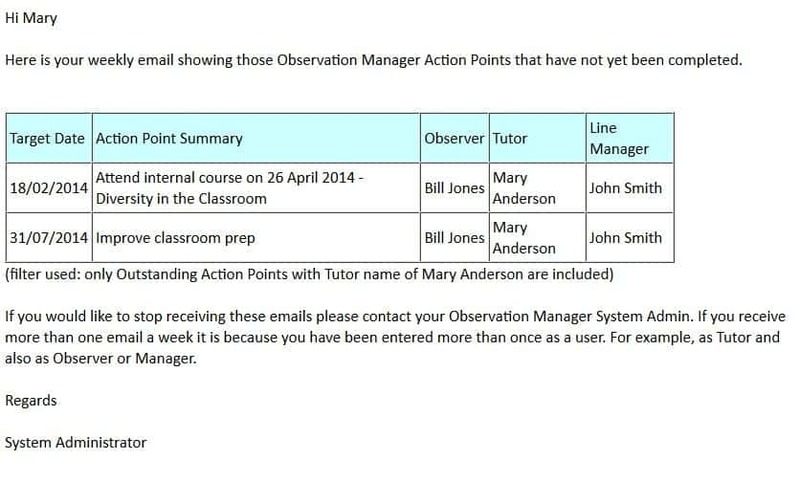 This is a sample of the optional weekly Action Point reminder email that is sent out automatically by Observation Manager. These emails improve compliance enormously by nudging staff about what actions still need to be taken. The option can be turned on/off on an individual person level. The description “Tutor” is user-configurable to Teacher or Observee.